The thyroid can be to blame for several conditions you may be experiencing. It can lose its regulation and cause medical problems. What is the thyroid? It is responsible for the hormones that control the speed of your metabolism. This metabolism is responsible for how your body uses energy. If you are experiencing a thyroid problem your metabolism may increase or decrease in its rate. This change in rate can cause a variety of symptoms. What type of symptoms occur from a metabolic rate change? The number one symptom and big clue that your thyroid is acting up is weight gain or weight loss. Weight gain comes from hypothyroidism, where the thyroid is not producing its hormones at a high enough level. If you suffer from weight loss, you may be suffering from hyperthyroidism, which is an overproduction of thyroid hormones. 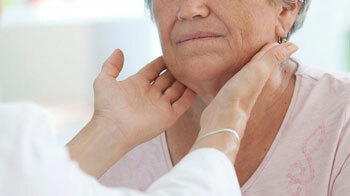 Another symptom could be a swelling of the neck, where the thyroid is housed. Heart rate may also slow down or speed up. You may also detect a change of mood; fatigue for low thyroid output and anxiety and irritability in high thyroid output. There may also be hair loss associated with thyroid issues. There are ways to naturally keep your thyroid in balance. Here is a list of recommended strategies. Supplements – There are natural supplements that can keep the thyroid healthy. One example of this supplement is called Thyroid Basics by Davinci Labs. It is made with vitamin B, folic acid, iodine, zinc, selenium, copper, manganese, chromium, l-tyrosine, bacopa minneri, commiphora mukul, and coleus forskholii. This product can help to improve thyroid function, reduce water retention, helps with fatigue and concentration, and it also helps with weight loss. Metagenix also has a natural supplement formula called Thyrosol, which helps with thyroid function. Change your diet – Consider your diet to be a major key in the functioning of your thyroid. Minimize your intake of caffeine and sugar and increase the protein in your diet. Protein supports your thyroid function. Make sure to eat fat and cholesterol or your hormones will become even more out of balance. Lose the gluten in your diet, which could be an issue aggravating your thyroid. Watch out for goitrogens, like broccoli, Brussel sprouts, cabbage, cauliflower, kale, turnips, spinach, peaches, strawberries, and peanuts. These foods can cause problems with thyroid function. Gut feelings – Make sure to keep your gut bacteria in check and ingest probiotics to balance the gut bacteria. 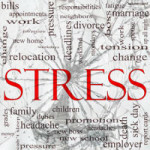 Minimize stress – Consider stress in your life and determine ways to lower this response. 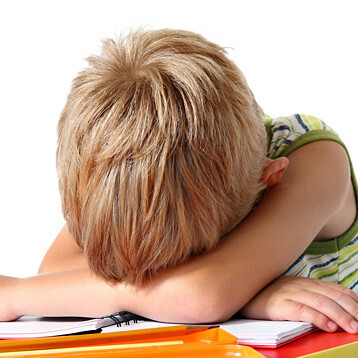 If you are bombarded with stress, the thyroid not work at optimal function. The thyroid is a very important regulatory hormonal unit that is responsible for metabolism in your body. If the thyroid is malfunctioning, the body can be severely damaged and disrupted. By eating a healthy diet that is balanced and free of gluten and goitrogens, the body can improve thyroid function and regulate hormones properly. Supplements can help this regulation and keep your body functioning at proper levels without the need for medication.